Take the ferocious power of water into your own hands with Protege and Warton Petrol & Diesel Powered Water Pumps, exclusively offered online by Edisons. High-power water pumping solutions at a low price, Protege and Warton Petrol & Diesel Powered Water Pumps are perfect for when you need large amounts of water moved in a jiffy. Protege High Pressure Petrol Water Pumps, available in 2” / 8HP and 1.5” / 6HP variants, offer top-of-the-line pumping performance. Fight brush infernos, fill a swimming pool in minutes, irrigate vast fields and more with consistent pressure of up to 35000 LPH. The massive tank saves you running back for more gas and the Uniseal hard wearing mechanical main seals ensures zero air and water leakage. You won’t find a water pump with comparable durability and performance for the same price. Efficient and powerful, Warton’s line of Water Pumps provides outstanding performance and exceptional versatility at an affordable price. Transferring water up a slope? Filling a tank? Jetting sheep? Warton has got you with a diverse range of Water Pumps to fit your every need. A low oil alert alarm automatically stops the engine when insufficient oil is detected, and all Warton Water Pumps are housed within a protective tubular, easy carry steel frame to reduce vibration and noise. For all your pumping needs, Edisons also offers a wide range of affordable and durable Diaphragm Pumps, Pond Pumps, Oil Pumps and Submersible Bore Pumps. 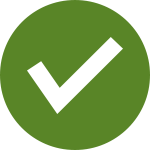 All Protege and Warton Petrol & Diesel Powered Water Pumps are backed by an Australian standard 12-month warranty for private home use and 3-month commercial warranty. Guaranteed fast and easy delivery, whether you’re in Sydney or in the Outback, only from Edisons. 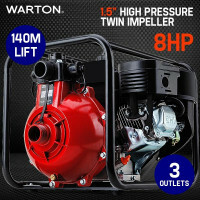 Make an investment in quality equipment and buy a Protege and Warton Petrol & Diesel Powered Water Pump online today.